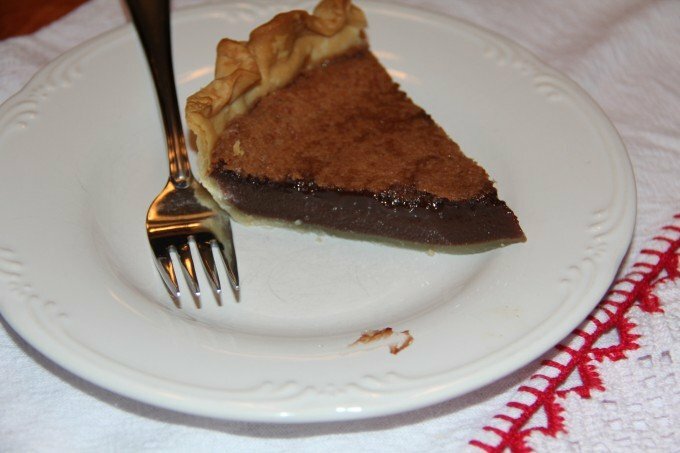 Chocolate Chess Pie is a favorite Southern dessert that’s so simple—with just a few pantry ingredients, you can have this pie on the table in about an hour! 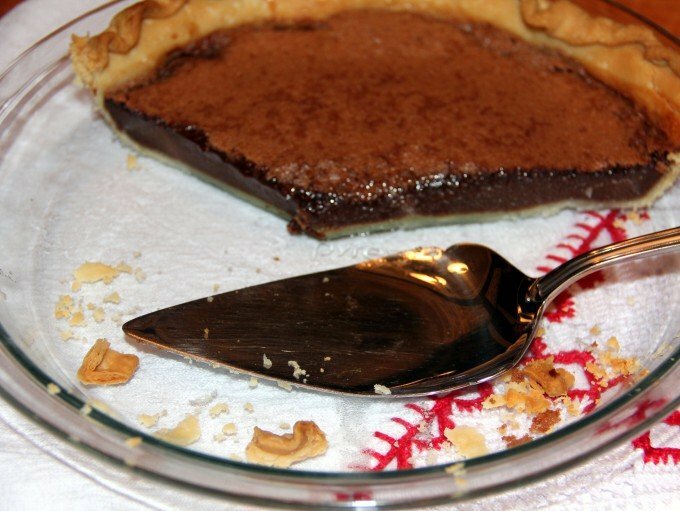 A while back I wrote about playing at my friend’s house after church on Sundays, and about her Mama’s chocolate chess pie. Well, after digging through some of our old church cookbooks I found Miss Patsy’s recipe for the pie. 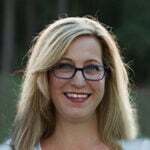 It is just the way I remembered. 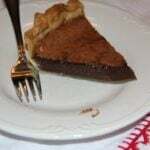 I adore this chocolate chess pie, and not just because it transports me back to carefree Sunday afternoons spent chasing tadpoles in the branch. I like the creamy, smooth, custard-like texture. It’s like eating chocolate silk but better. This pie is very similar to my Old-Fashioned Fudge Pie, and truth be told, if I were having to choose I would choose that one first. But I don’t have to choose. I can have both and so can you! 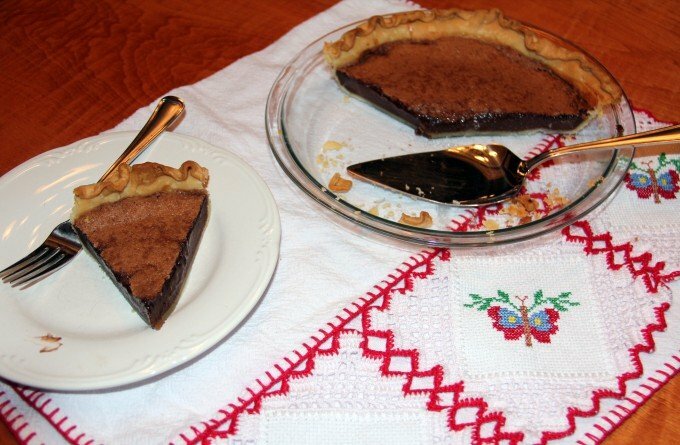 A classic Southern dessert, this chocolate chess pie is made with pantry ingredients and is easy enough for a weeknight dinner. Preheat oven to 350. Place pie pan on a large foil-lined cookie sheet. Combine sugar, flour, salt, and cocoa in a large bowl until blended. Add eggs, milk, butter, and vanilla and whisk until well mixed. Pour into pie crust and bake for 30-40 minutes until pie doesn't jiggle too much in the center. 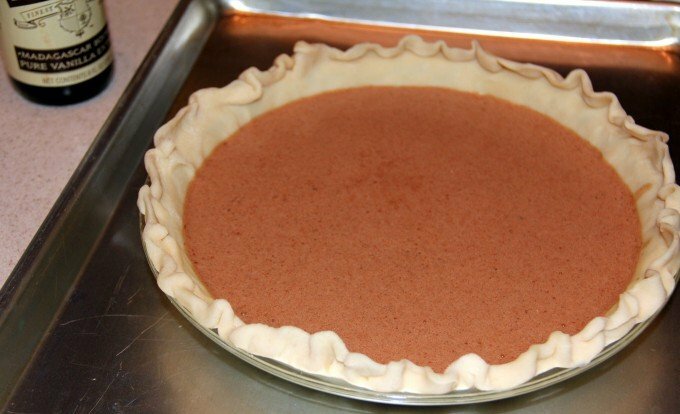 Allow pie to sit for at least half an hour before slicing.